Most people in North America use toilet paper to clean themselves in the bathroom after relieving themselves. They are oblivious to the fact that for centuries now, people all across the world have been washing after using the toilet and not using only toilet paper. Bidet toilets and toilet bidet seats incorporate this age-old habit of washing oneself after using the toilet. You might be wondering what exactly is the definition of a bidet toilet or more specifically, a bidet toilet seat. To simply put it, bidet toilets seats are special hi-tech toilet seats that have a hygienic nozzle lengthening beneath you as you use the toilet. The nozzle is there to spray and wash you after you have done your business. It retracts itself when the seat is not being used. 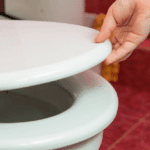 Bidet toilet seats can be added over an existing toilet through simple DIY installations. It can easily replace an old toilet seat. 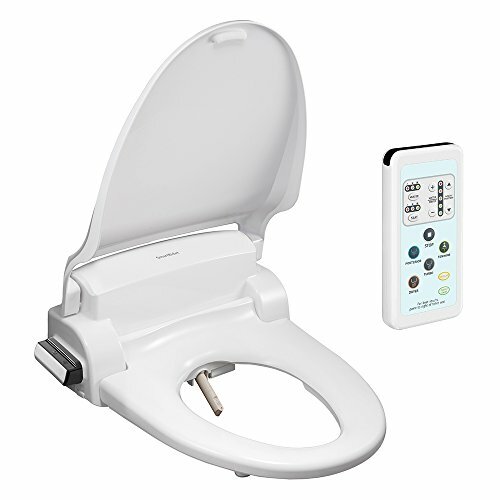 The bidet function can be used whenever you sit on the toilet to use it. You no longer have to go across the bathroom to get access to washing yourself post-toilet usage. This article will aim to look at a five different toilet bidet seats and the features that are included with each of them and will also tell you briefly how to choose the best toilet bidet seats. Keep reading to find out more about this amazing and innovative combination for your toilet seat. It’s imperative to mention electronic bidet toilet seats. Those of you who like warm washes, this one’s for you. Electronic bidet toilet seats actually have integrated water heaters. That means you can enjoy warm washes post toilet usage. As if that feature wasn’t good enough, some of these seats have all kinds of cool toilet bidet combinations, like night-lights, heated seats, warm air dryers and deodorizers. We kid you not. The following gives you reviews of five of the best toilet bidet seats. The Bio Bidet Ultimate BB-600, Advanced Bidet Toilet Seat model, has an easy DIY installation system and includes luxury features from its side panel. The adjustable heated seat and water along with the dual nozzle posterior as well as feminine wash make it an ideal for all sexes. The nozzle works great for kids as well, making it perfect for the family. With its wide clean and vivacious massage technology along with bubble infusion, it will leave you wondering why you didn’t try it out before. The efficient comfort-adjustable heated seat and water sided with slow closing lid adds to the overall finesse of the seat. The best environmental part, placing the seat on Energy Save Mode helps to reduce electricity, making it eco-friendly. 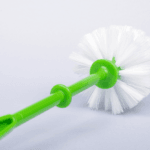 Dual nozzle- perfect for use by the whole family as it has a posterior wash as well as a feminine wash. 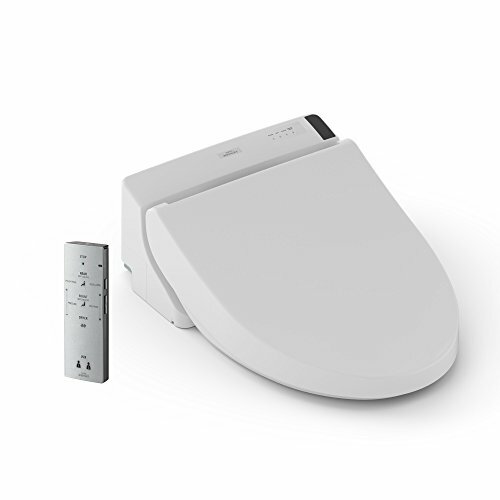 The Toto SW2044#01 C200 Washlet Electronic Bidet Toilet Seat with Premist and SoftClose Ltd. model comes with a self-cleaning wand, which automatically cleans itself both before and after use. 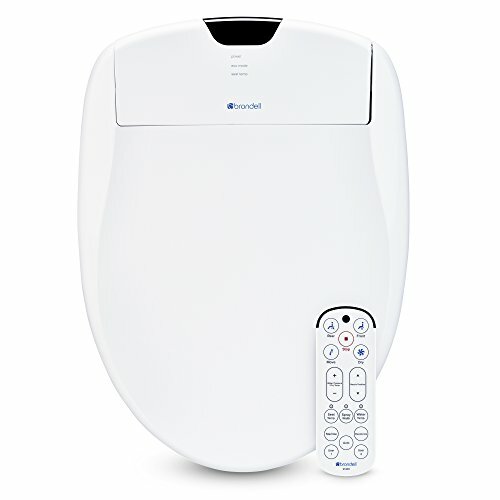 This cotton white colored toilet bidet seat is designed with a heated seat, automatic deodorizer and warm air dryer. Both front and rear warm water-cleansing options are inclusive, along with five adjustable pressure and temperature settings. It is remote control operated with an illuminated touchpad that is easy to read and incorporates 2 user memory settings. The premise set basically allows incoming water supply’s misting of the toilet bowl before use to help avert waste from staying back when flushed. 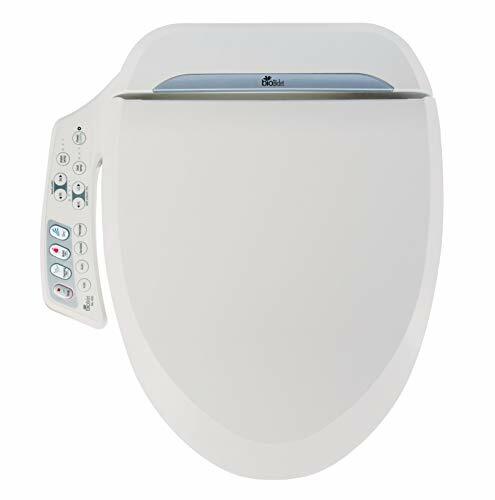 The SmartBidet SB-1000 Electric Bidet Seat for Round Toilets with Remote Control-Electronic Heated Toilet Seat is an easy to install toilet bidet seat. It incorporates energy saving mode along with a soft closing lid and seat. The heated seat has three separate levels with safety sensors that activate based on skin sensors. 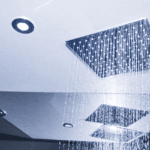 The five levels of adjustable water pressure along with three levels of water temperature setting and five different nozzle positions make it an amazing buy, especially for families. There are multi-wash functions for both sexes. The warm air dryer feature eliminates your need for toilet paper at the end. The Brondell Swash SE400 Elongated Bidet Seat with Air Dryer and Stainless-Steel Nozzle model is of premium quality that you can trust. Brondell is well known for manufacturing reliable goods. Along with a sturdy seat, features such as warm water wash, warm air dryer, heated seat, nightlight, stainless-steel self-cleaning nozzle, gentle massage pulse, auto mode and power saving eco-mode all make for a perfect combination. You get more for less when compared to other toilet bidet seats that may cost you hundreds of dollars more. The stainless-steel nozzle allows for maximum durability and hygiene. 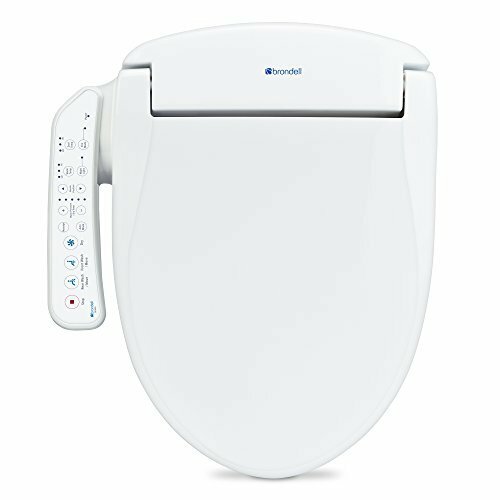 The Brondell Swash 1400 Luxury Bidet Toilet Seat in Elongated White model is laden with features such as a blue illuminating nightlight, endless warm water heating system, replaceable deodorizer and nozzle oscillation. Like most toilet bidet seat models, this one can also be installed easily. This model allows you to customize your wash so you can program the wash according to your preference. One-touch auto mode allows for a hygienic experience. 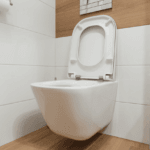 The best part perhaps is the sleek design intended for North American users, the hidden pocket makes sure the water hose and electrical cord remain out of sight when the toilet is being used. This model has top-notch cleaning as nanotechnology is used to ensure a germ-free experience. Aerated wash spray comes with three-spray width as well as three water pressure settings. Quick installation, the swash installs on your current toilet, simply remove your toilet seat and replace it with the swash. The sleek design allows for a great toilet fit; hidden pocket makes sure the water hose and electrical cord are out of sight. A toilet seat that helps wash you properly without having to use cups or flowering pots in a bathroom setting is something truly remarkable. Even though the bidet toilet or bidet toilet seat concept is new in the West, people all over the world have been washing after using the toilet for centuries now. This is something of a necessity in most countries, not something that is odd or uncommon. 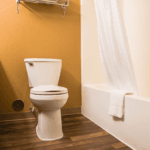 Here are a few points to help you choose the best bidet toilet seat for your toilet. The last thing you want to have to do is replace your toilet seat every few months and so you want to keep the following points in mind. Having to constantly replace is not only a hassle, but it’s also a huge money waste as well. As with every other thing you purchase, when buying any toilet bidet seat, you want to make sure it is reliable and won’t let you down after purchasing. Usually, if the company has built itself a name, the products should be reliable. Overall build quality is extremely important because the last thing you want is a toilet seat that is prone to breaking. If the material used to make the toilet bidet seat is of good quality and the technology is top notch, it makes a huge difference in the long run. Cracked toilet seats or nonfunctioning nozzles don’t sound all that appealing. By knowing the age of your toilet, you can get a better idea on which models would go best with it. There are distinctive functions for toilets depending on which year they were manufactured. If you are unaware of your toilet’s age, you can ask a specialist to come to have a look or you can read up on the specific traits to look for to determine toilet age. You can save yourself time if you know which toilet seats go best with your toilet setting so you don’t end up buying something that looks out of place. You can even take pictures of your toilet and show it to the specialist at a Home Depot near you. 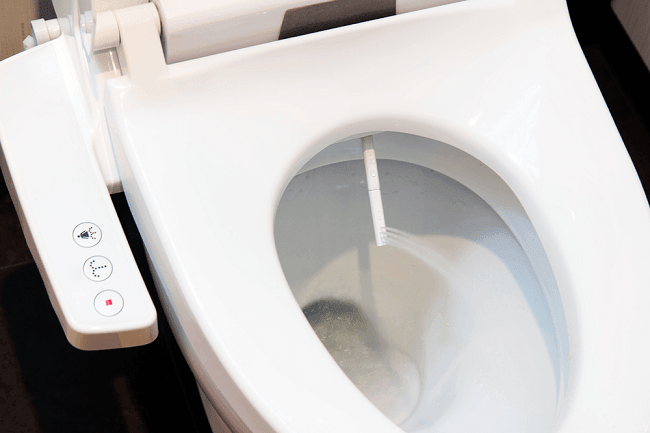 As with pretty much everything else in your household that is being used by the inhabitants of the house, the frequency at which you use your toilet should be considered when purchasing a toilet bidet seat. Of course, if your household consists of more people, the frequency will of use be greater compared to if there are only one or two members. Another factor to consider is the number of family members or friends you have coming over and using your toilet on a regular basis. As this will affect your ability to maintain the condition of the toilet bidet seat, it’s pretty important to find out the durability of the seat prior to purchasing. It’s important to know how much fixing the nozzle that extends from the toilet bidet seat might cost or any other technology-related function. It’s always a good idea to look into the repair rates for any home purchase so you know how much you may need to spend should the item have issues popping up. To conclude, purchasing a bidet toilet seat can change your whole perception of using your toilet. I mean, you may end up spending hours sitting on your toilet even when you don’t need to! Don’t be disgusted, you might spend hours reading or doing something productive, not necessarily relieving yourself for hours on end. And hey, you are getting a nice washing at the end. Buying the best bidet toilet seat for your toilet will open you up to new technology. To top it off, washing after using the toilet sure sounds a lot more hygienic than simply wiping with toilet paper (just saying). If you are worried about how long the seat will last, remember, the better you take care of your toilet bidet seat, the longer it is bound to last. Make the investment towards a good bidet toilet seat. Stay hygienic.